Kaunan – Wir werden niemals stehen! 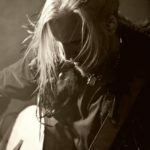 Kaunan plays nordic folk and medieval music. Plays the bouzouki and mandora. Also the frontman of the well-known German folk band FAUN. 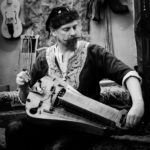 Göran Hallmarken is one of the most outstanding hurdy-gurdy players on the Swedish folk and medieval music scene. 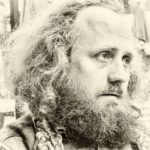 Boris Koller is a professional painter and composer who specializes in working with the old types of Nyckelharpa (the Kontrabasharpa, and Gammelharpa). He has contributed to numerous studio productions and concerts performed by various early music ensembles. Did you already buy the album?